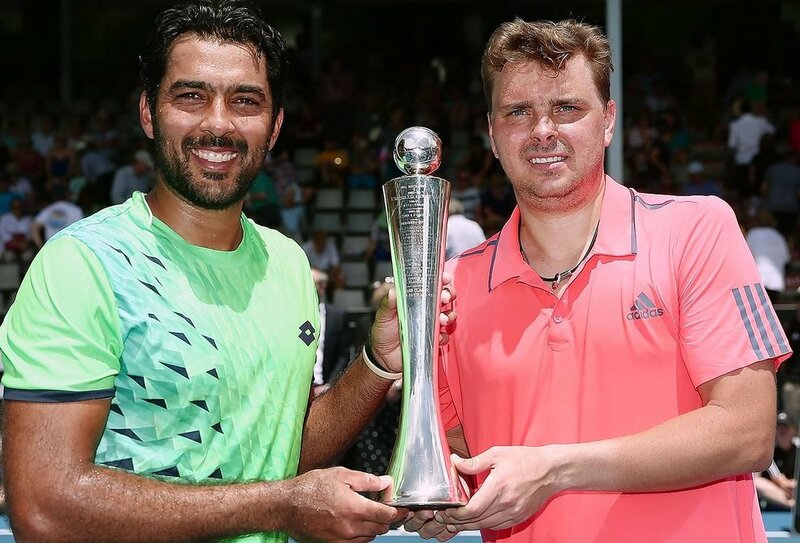 Doubles pairing Marcin Matkowski and Aisam-Ul-Haq Qureshi have come from behind to win the ASB Classic title in second-set tiebreak. Matkowski and Qureshi triumphed 1-6, 6-2 (10-3) over Jonathan Erlich and Scott Lipsky on Saturday, blowing their opponents away with the match on the line. The Polish and Pakistani pairing were unplayable in second-set tiebreak, winning seven points on the trot before holding their nerve to win 10-3. They had earlier clawed their way back from a disastrous first set in which they were broken thrice. “We came out a bit flat but they were returning unbelievably, and we hung in there second set, changed the flow of the match a little bit,” Matkowski said. Losing the first set 6-1, Matkowski and Qureshi looked much livelier in the second, winning an impressive 92 per cent of all first-serve points. They also fared better in their return games, winning six of six second-return points. The 35-year-old Matkowski and 36-year-old Qureshi broke to go 3-2 up before winning the next three games and forcing the match into tiebreak. From that point, there was only going to be one winner as the pair won point after point. Pairing for the first time in Auckland, the two veterans both hoped they could reunite later in the ATP doubles campaign. But they may also meet up in Melbourne next week for a celebratory meal. “Every time I ask Marcin, he always has other partners,” Qureshi said.